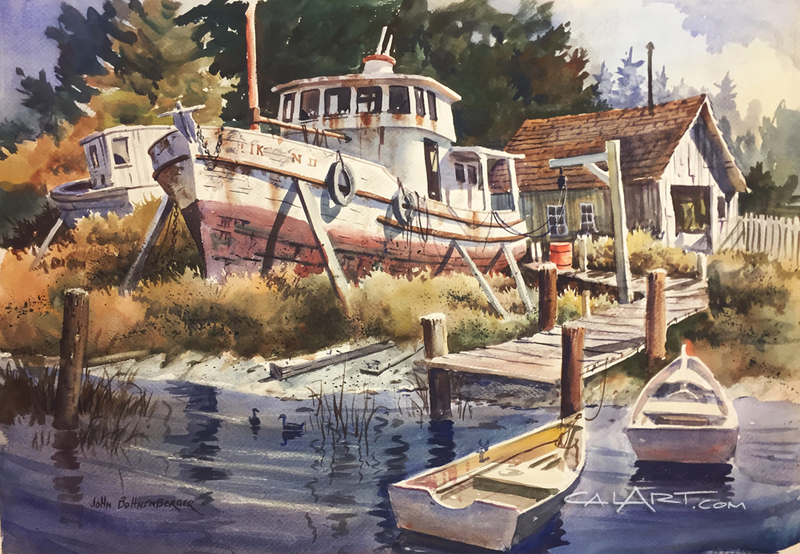 Original Double Sided Watercolor by California Regionalist John Bohnenberger. 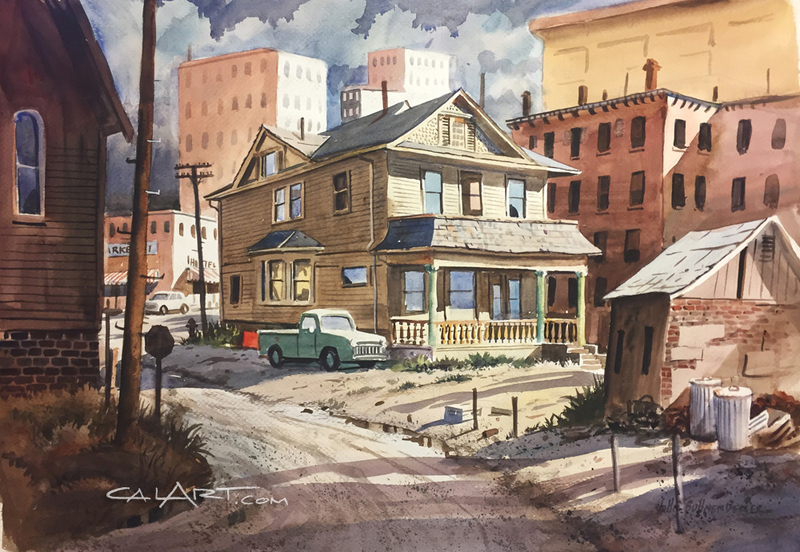 Front side is a Los Angeles scene titled "Ed's Place". Back side is a harbor scene. BOTH sides are SIGNED and fully finished paintings!